In this article I am going to talk about Fukui specialty Echizen soba. Food is one of the most essential and sought after pleasures to ones travel. It will not only offer you the delicious flavors, but it also reflects an aspect of the local landscape, culture and history. Soba represents Japanese cuisine along with sushi and tempura, which one must partake these as well. Echizen soba is a type of soba mainly eaten in the Reihoku region of Fukui Prefecture. One of its features is the grated daikon radish that is served as a topping. The difference of Echizen soba compared to the others, is the darker rich color made by grinding an entire buckwheat seed. 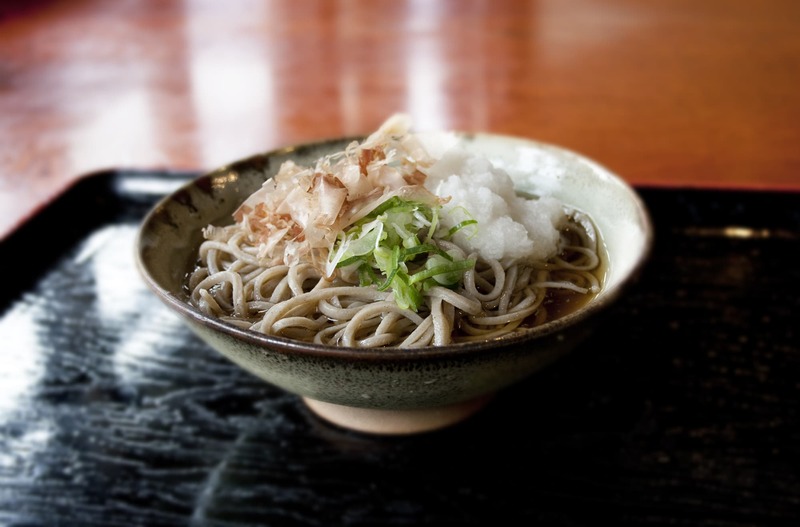 Even during severe winter in the Hokuriku region, Echizen soba is eaten with cold soup. In addition to the grated daikon radish, other ingredients such as green onion, dried bonito and nori (laver) are used. They are all uniquely associated with Fukui Prefecture. The history of Echizen soba dates back to the Muromachi period. Due to the extreme weather having caused famine, Fukui Prefecture recommended soba cultivation as an emergency food. It was the logical conclusion as the buckwheat grew well in the wilderness as well as having the ability to survive the extreme cold weather of the Hokuriku region. Those were the main reason an authentic Echizen soba was eaten commonly during the Edo period and is currently loved by many. After all, one of the things I want you to enjoy the most is the condiments combined with delicious soba. The grated daikon radish is an essential of Echizen soba. There are two ways to enjoy eating it. One is you can put the grated daikon radish on soba, and simply eat by adding the soup to it. Another way is to mix broth with the grated daikon radish, thereafter eat dipping soba into the soup. Each household in Fukui has it’s own way of eating Echizen soba. The former is the best way to eat when you want to enjoy a stronger flavor of the grated daikon radish, while with the second one; you are able to enjoy the unique taste of soba itself. Whichever way you choose to eat is up to your personal preference. One cannot miss Yubuan if you want to partake of the finest Echizen soba. There are two restaurants; one in front of Fukui station and other in the station building. 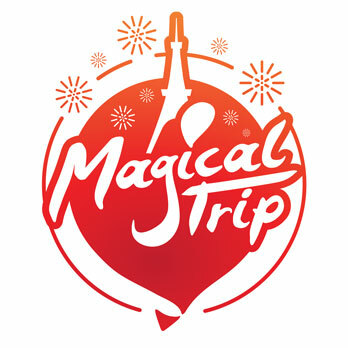 It is also convenient to visit the end of the trip since the access from the station is very good. There is a lot of variety on the menu. 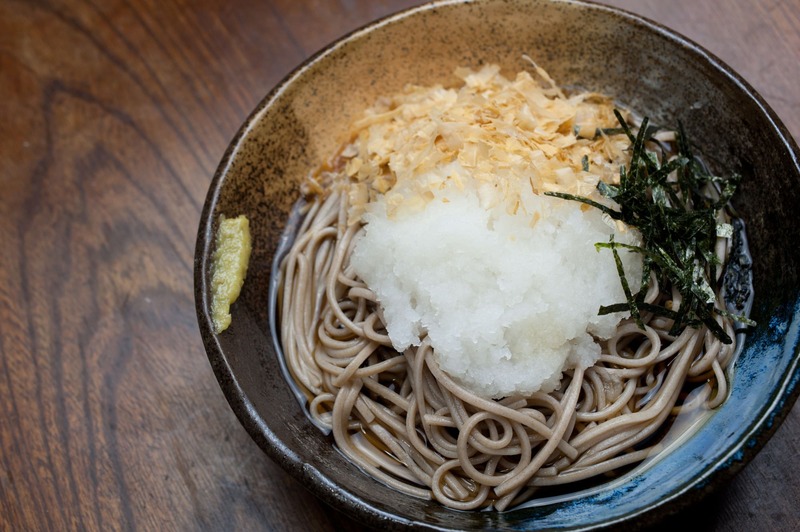 Other than the authentic Echizen soba, they also offer it with tororo (grated nagaimo). Adding wasabi (mustard) to your preference would provide a unique flavor to it. All the dishes, tray, kitchen knives used in Yubuan are made in Fukui Prefecture, which would be interesting to observe them. It can be said that the restaurant itself embodies Fukui Prefecture.